Karan: My wife is a goddess! I got lucky or what?!! Hot and much in love couple Bipasha Basu and Karan Singh Grover are currently enjoying the best time of their life in Maldives. We all know that, they both always had fondness for beaches and this time too the couple headed to the beach for their honeymoon. It was recent that, 'Raaz' actress Bipasha took to Instagram and shared a collage of three pictures of the sea. This totally proves how much they are enjoying and having fun. Bipasha wrote, "Sun Sea Clouds Love Thank you." The couple got a surprise with a welcome cake at their arrival. Posting a picture of the cake, Bipasha wrote, "The sweetest welcome cake Thank you." In all this love and excitement, something that catches our eye is when; Karan posted a hot pic of Bipasha and captioned it saying, "My wife is a goddess! I got lucky or what?!! Yes.. Karan you did get LUCKY!!! 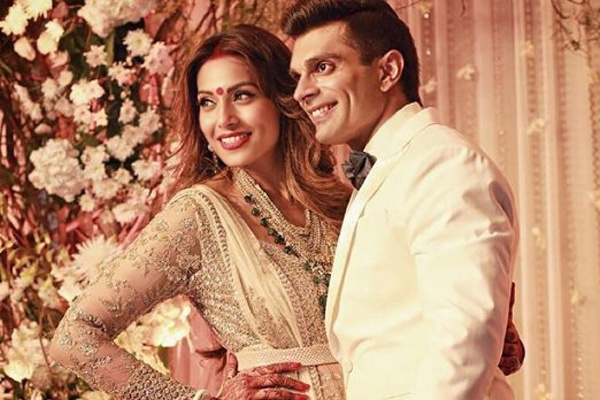 Bipasha & Karan got married on April 30, with close friends and family but their reception was one big event that made the whole B-Town come together. 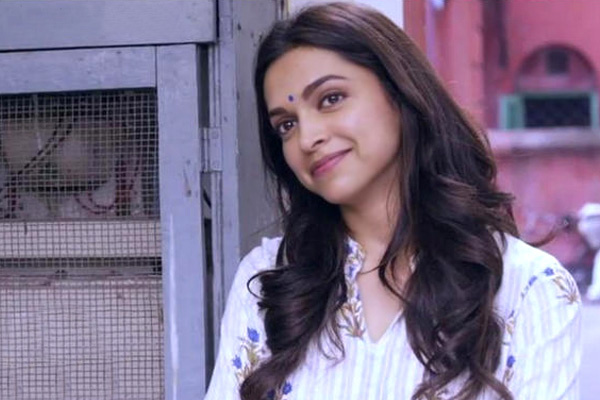 They both met on the sets of their first movie together 'Alone' have been friends ever since. This much awaited and talked about movie 'Udta Punjab' has released its second song from the movie. This song revolves around actress Alia Bhatt who is one of the lead in the movie. This song is surely going to break records as by far this is the coolest rendition of renowned Punjabi poet Late Shri Shiv Kumar Batalvi. 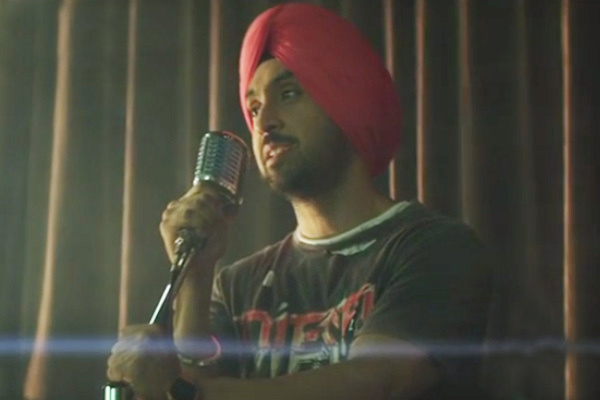 Actor and singer Diljit Dosanjh sang this song and it seems like he has given life to this track. Diljit will also be playing one of the lead in the movie. This track is surely going to leave a smile on their faces with goosebumps for Alia's innocence attached in it. In this song 'Ikk Kudi', Alia is seen in a de-glam avatar where she will be seen playing a Bihari migrant and an aspiring hockey player in the film. The song captures her child-like innocence with her passion for hockey. Few days back, Alia took to twitter and wrote, "Ikk kudi nu milna hain???? Coming up Tom.. #UdtaPunjab #IkkKudi @shahidkapoor @diljitdosanjh". The movie 'Udta Punjab' is a film about the drug that has clutched Punjab in the recent years. The other actors in the movie are Shahid Kapoor, Kareena Kapoor Khan and Diljit Dosanjh, it is directed by Abhishek Chaubey and will release on June 17. Former queen and Bollywood beauty Sushmita Sen, is one lady with a golden heart. She has not been famous on the big screen big when it come to heart she has won all. They say that, Sushmita Sen is a Goddess- yes she is and this new pic from her Instagram post will prove it all. Sushmita recently took to Instagram and posted a pic and message about her super famous massive diamond ring. Check it here , it will leave you awestruck, she also writes a note saying, “A #diamond is #forever my most #famous #rock a #massive #ring I gifted myself a while ago that gently stated "either beat the size of my stone or match the size of my heart" #celebrateyourself #itsempowering#women #diamonds #facets #brilliance"
After her blockbuster movie 'Main Hoon Na', Sushmita was not seen much on screen but she has always made inspiring speeches for the young generations by just being herself.